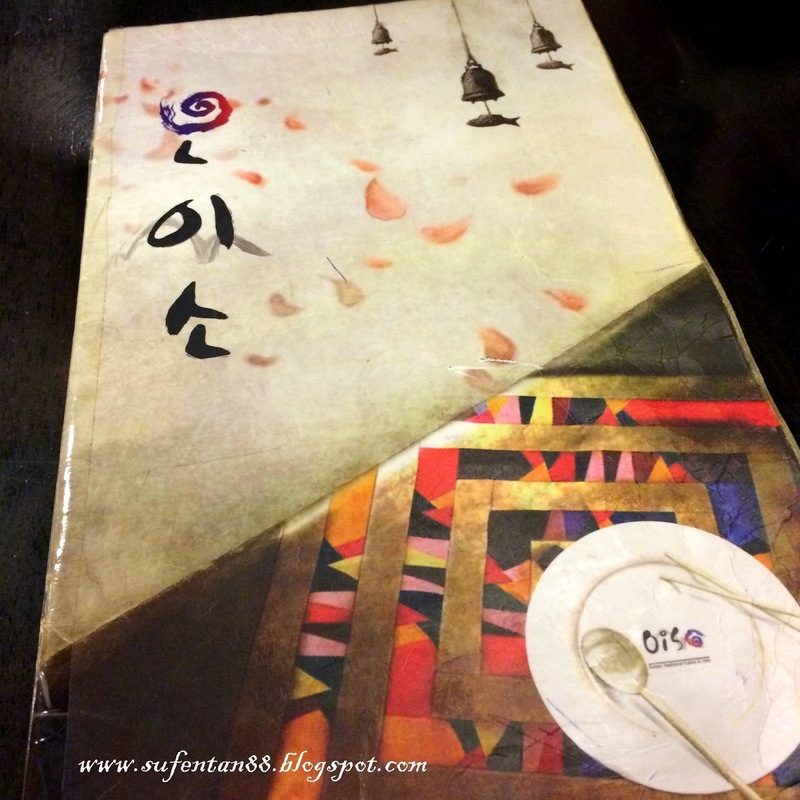 Let me introduce you to a Korean restaurant in PJ area that I recently visited. I found this restaurant when visiting the Tropicana City Mall two months back. Instantly, I felt in love with their food and I did came back a few time. So, I decided to write about it this time and share with you their delicious food! 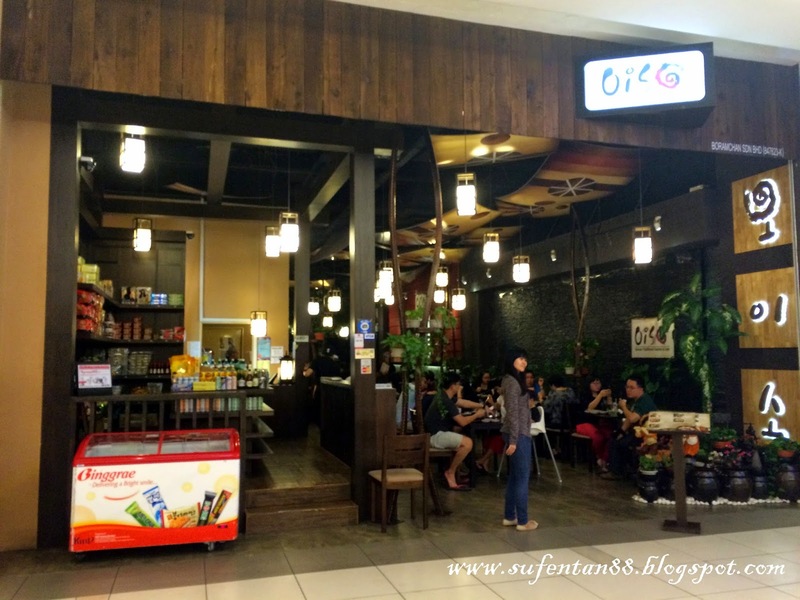 The restaurant is called Oiso Korean Traditional Cuisine, located at ground floor of Tropicana City Mall (direct opposite of Sushi Tei). This restaurant has a few branches around Selangor and KL, i.e: Bangsar South, Cheras Leisure Mall, Ikano Power Centre and Menara Hap Seng. I always find it to be packed during the lunch hour and dinner time. So, just be ready to queue when visiting in the peak hour. 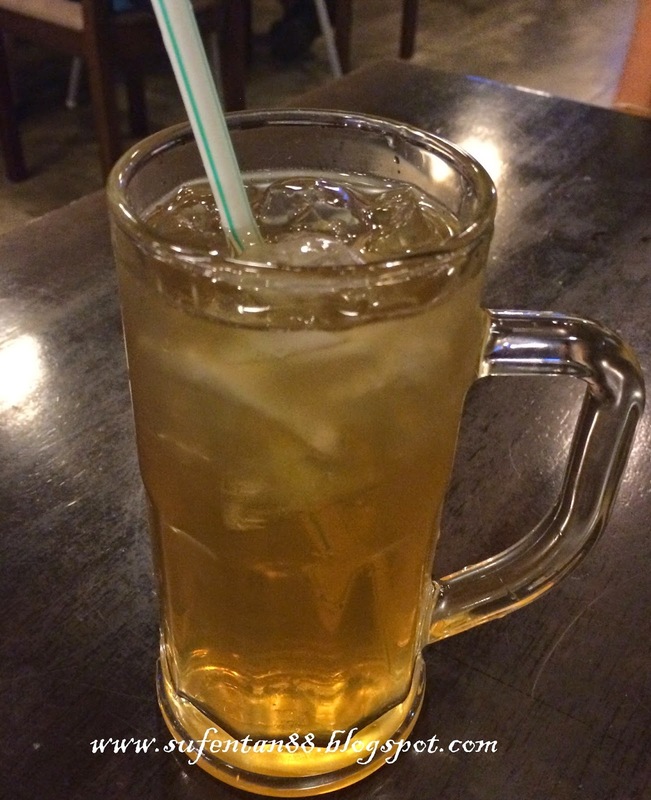 I love this brown tea, taste very similar to the Japanese Genmai green tea. There is the smell of toasted brown rice but lighter and smoother. The best of all- it is refillable! The set come with rice, banchan(side dishes) and soup. The banchan is refillable. The chicken BBQ is cooked in gochujang (Korean red chilli paste) sauce, very mild of spicy, don't really feel the pinch. I love the taste of the gochujang, not too sweet or salty, just nice. It is delicious! 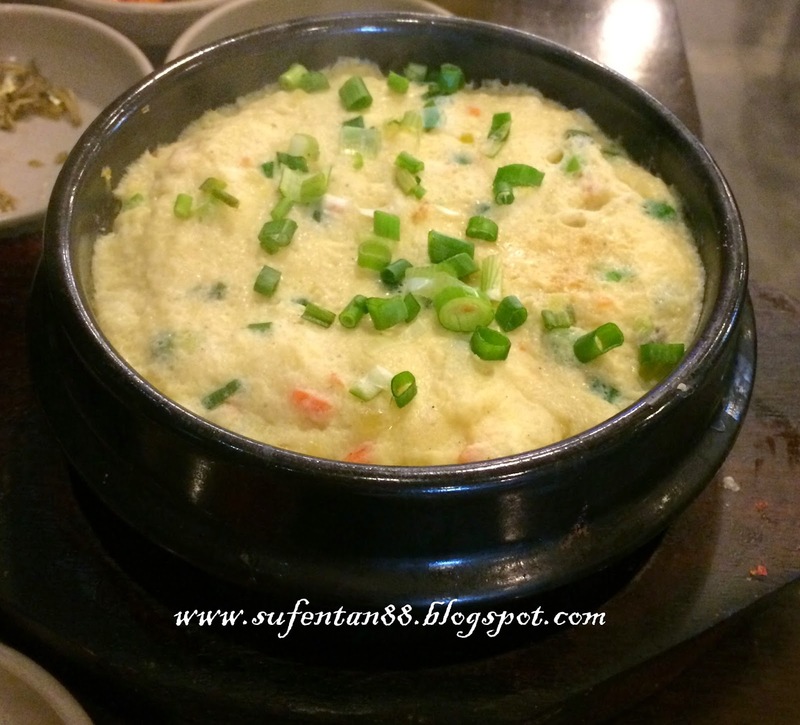 I always never fail to order this when visiting a Korean restaurant. I always believe if a Korean shop can serve a good Deon Jang Jji Gae, their food will be good (this doesn't apply to kimchi). 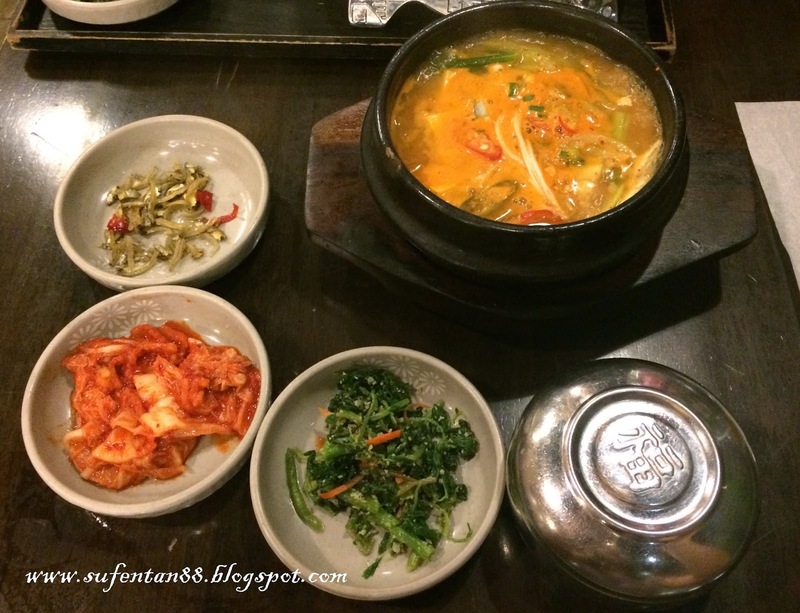 And their soybean paste soup indeed delicious! However the soup come with tofu, some clams, mushrooms and vegetables, not much of ingredients. I will only treat it as a soup and I will order another main dish. It is best you can have someone to share it together. 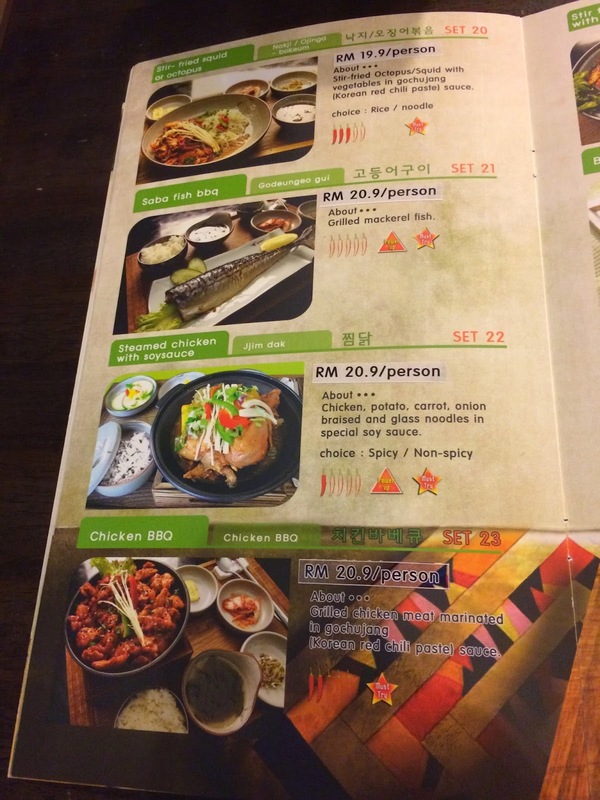 Another dish to try is their Kimchi soup set (I didn't not take photo), although it written spicy level is 4/5 but I personally think it is only 2/5 for my level, I would think our Indian curry is double or triple than that. 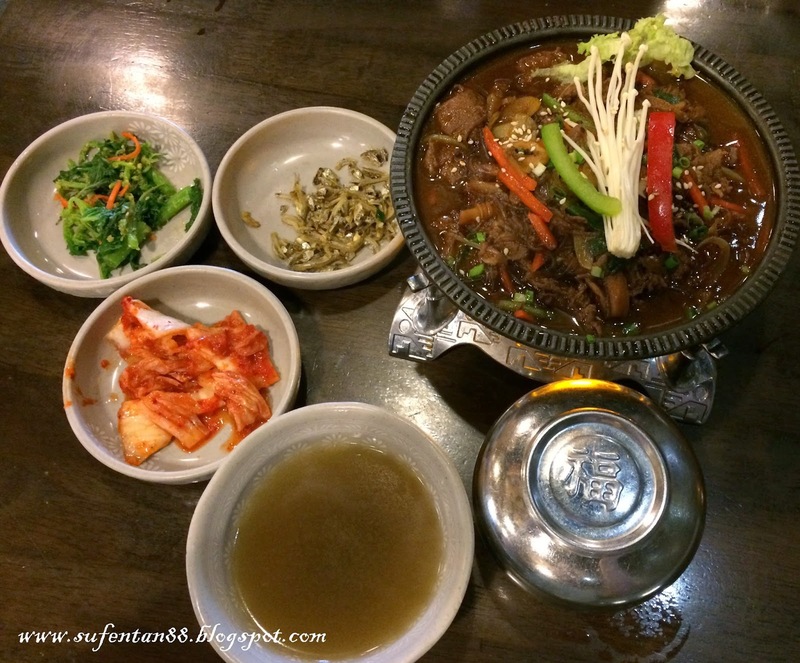 The beef bulgogi taste quite nice. 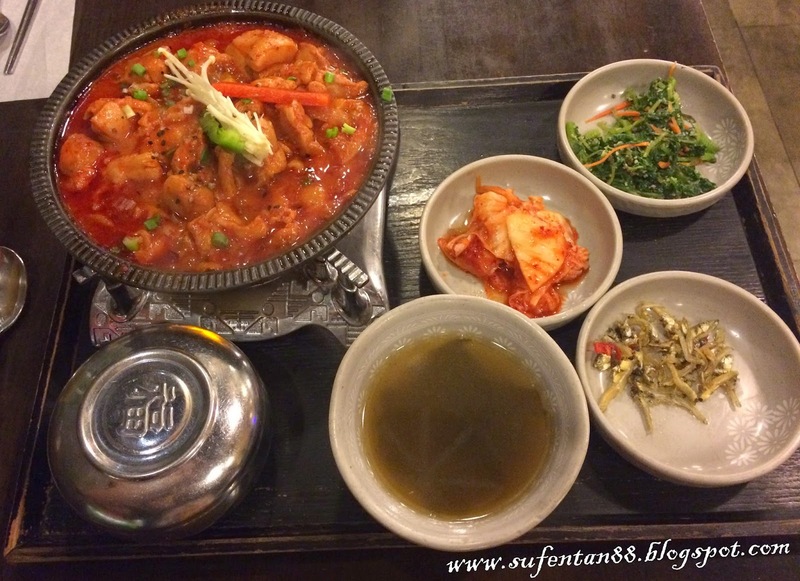 This dish is non-spicy, suitable to all who can't taste spicy food. The bulgogi sauce is on the sweetness part instead of salty, but overall was delicious. I always love the Korean steam egg however I feel this one put too much of the seasoning which I taste mostly the Ajinomoto taste throughout my mouth. The steam egg was smooth and nice but the down side is too much seasoning. 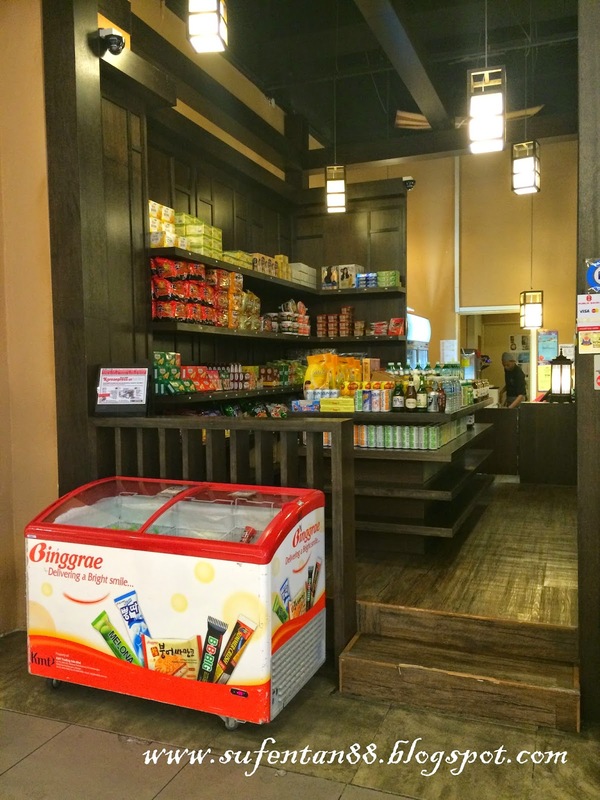 There is a small area at the corner that sells Korean snacks and others cooking food that you can buy home. With the reasonable price and delicious food served, it is definitely a must visit restaurant when you come over Tropicana City Mall. 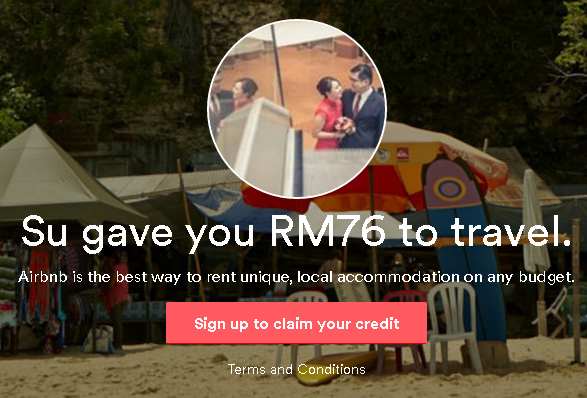 3, Jalan SS 20/27, Damansara Jaya, 47400 Petaling Jaya, Selangor.